It is important to understand the basic components of your water heater and how it works. Make sure you determine if your water heater is gas powered or electric because each model is different and requires different parts to complete repairs. Try to determine the source of the problem. Whether you don’t have any hot water or your water heater is making odd sounds, there are a few simple things you can do before enlisting the help of a professional. If you have no hot water, you can always try adjusting the temperature dial to see if that remedies the problem. A leaky hot water heater can also cause a variety of problems, so check around the base of your water heater for puddles of water. A less common problem is that your hot water is too hot, which also could potentially be fixed by adjusting the temperature dial. If your water heater is making a variety of strange sounds, it may be due to buildup of hard water and sediment. In order to fix these issues, you can often flush or drain your water heater. 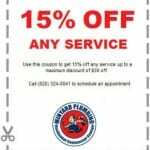 This flushing is a simple repair that can help keep your water heater working properly and efficiently. 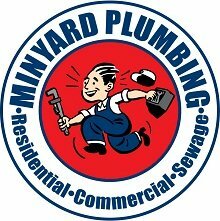 Not all water heater repairs are simple fixes, and when you need water heater repair done by a professional team, you can always count on us at Minyard Plumbing, Inc. Contact us today for more information about our water heater repair services!